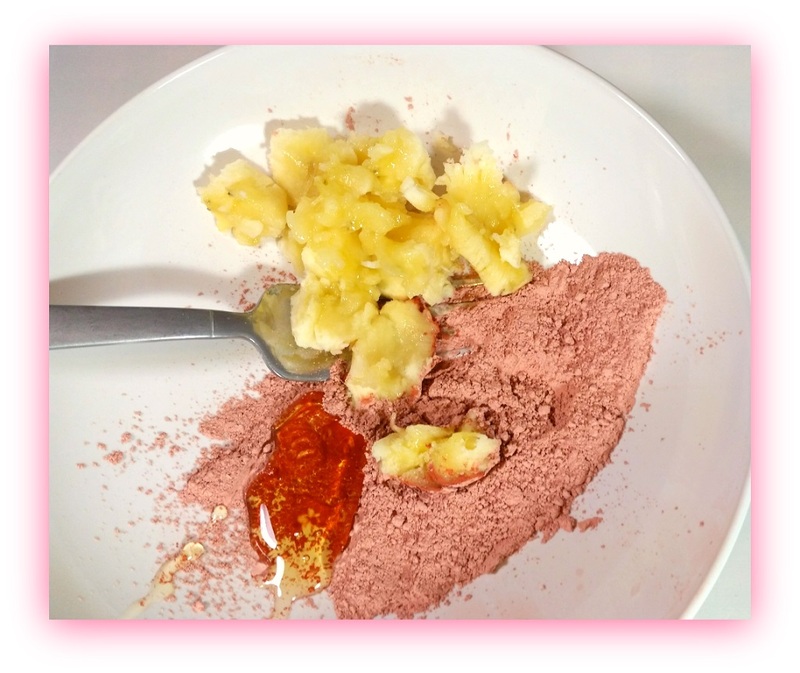 It’s been a while since I shared some DIY skincare- I’m happy to present my latest beauty blend: Pink Clay Banana Face Mask Recipe (great for sensitive, dry skin)! What’s better than reaching into the fridge for nature’s best beauty hacks. 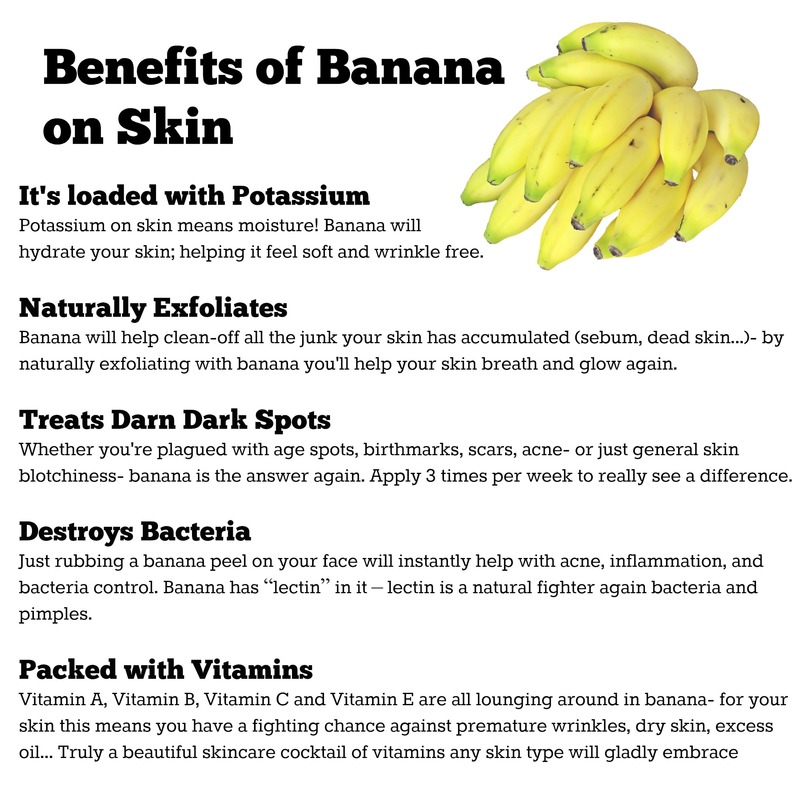 Banana and clay both have hidden healing properties! 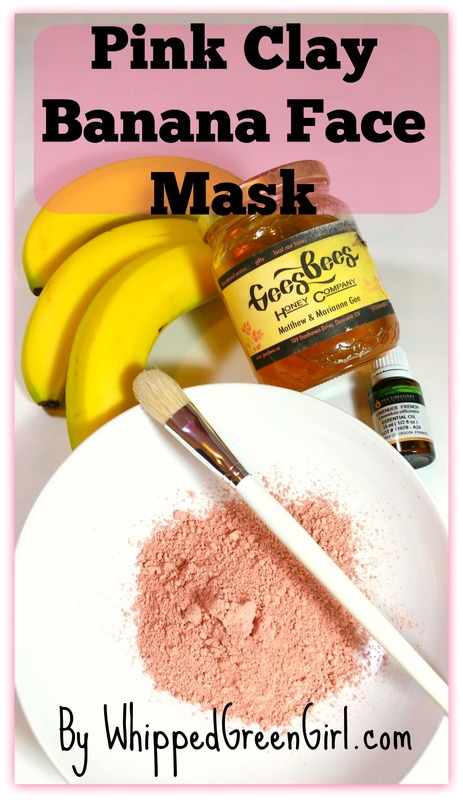 If your skin is sensitive, peeling, or feeling dry, you’ll love trying this Pink Clay Banana Face Mask Recipe. 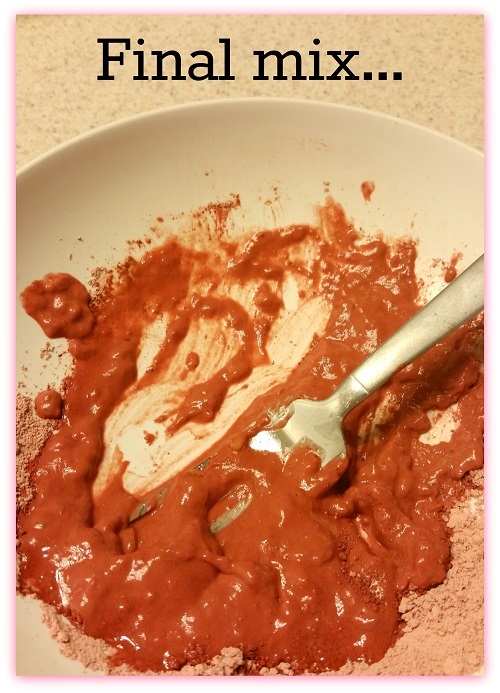 Pink clay is rich in vitamins and helps detox skin by sucking out all the bad stuff soap just can’t get out. For other skin types, like oily or acne prone skin; this mask is great too! It’s gentle and potent enough making it a warm welcome for mostly all skin types. Mash the banana in a glass or ceramic bowl. Add the pink clay, honey, and lavender essential oil- mix well. Apply to your face. I used a brush, but your fingers work best- a beauty blender, whatever you prefer. 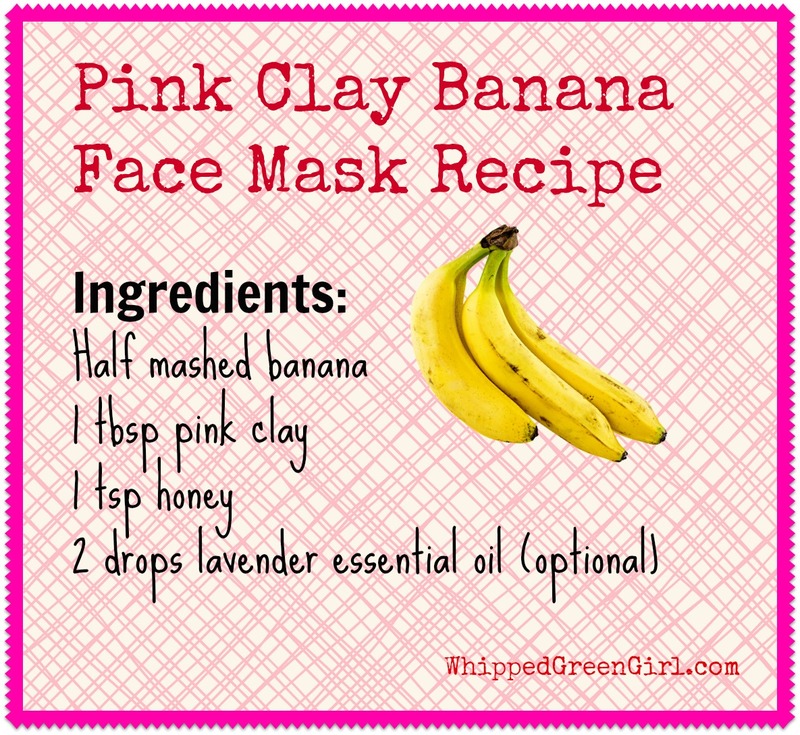 Leave the pink clay banana face mask blend on your face for approx. 15 to 20 min. Rinse-off well and moisturize. Discard any remaining mix. For best results apply mask twice a week. 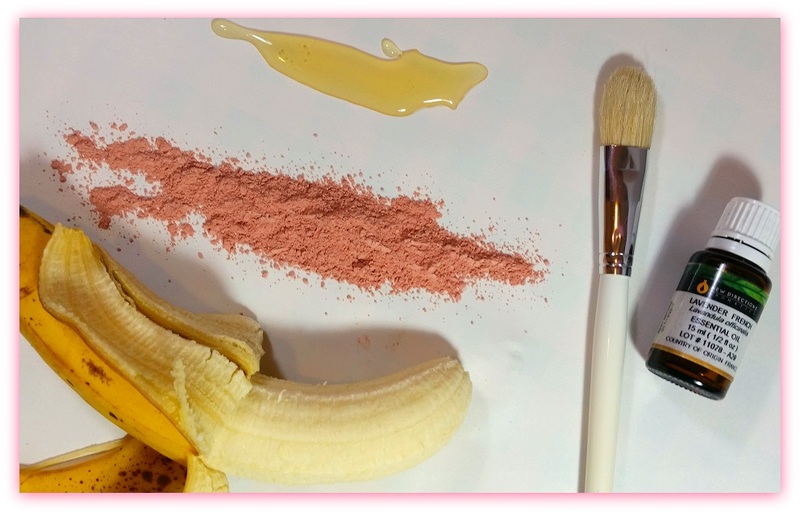 Pink clay is the golden goose of clay’s for sensitive skin. It’s not harsh, it quickly detoxes, and helps your skin heal. If you’re prone to oily skin, go for green clay. If you have normal skin (you lucky duck…) reach for red clay. DIY is all about doing what works best for you and your skin. Be creative and try new things (clay’s, honey’s, different essential oils) your skin will let you know how happy it is with your choices, sometimes instantly. 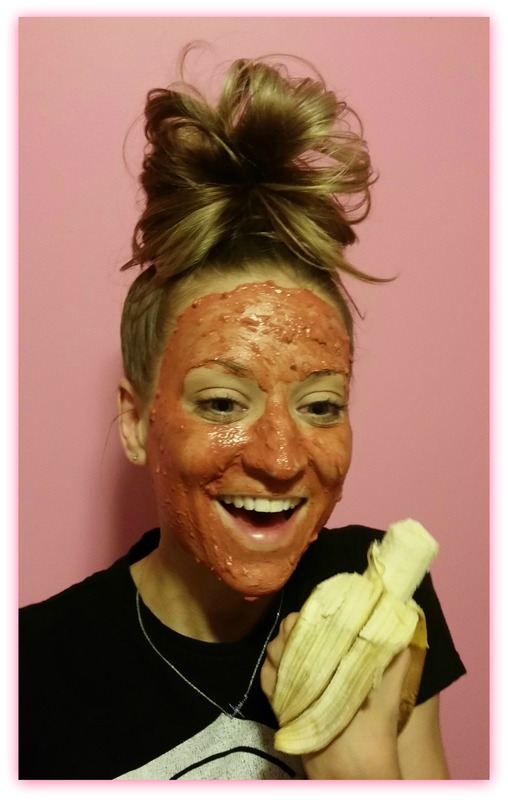 Hope this Pink Clay Banana Face Mask is worthy of pinning and trying! There’s no better feeling than using what you eat as skincare! Like what you’re reading? See more of my DIY SKINCARE shares! So glad I stumbled on your site at Sustainable Sundays! I cannot wait to try this mask! Sharing! Aw thanks <3 Always feel free to ask questions! Although a lot of times we just wing it! I have a post I'm putting together and the explanation is mostly "look at these photos and do it like us…" haha.